The move will take off the burden by at least 5-6 per cent from an average home buyer’s budget, analysts feel. 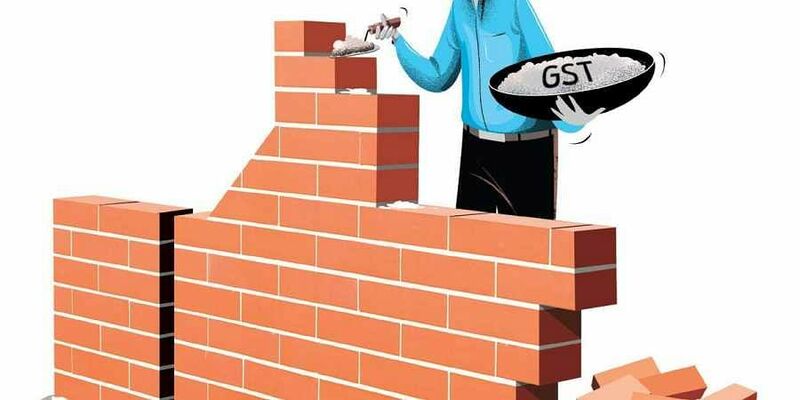 The GST Council on Sunday gave the much-needed boost to affordable housing segment as it slashed GST rate on under-construction properties from 12 per cent to 5 per cent, and that on properties worth up to Rs 45 lakh to 1 per cent from 8 per cent. While developers have welcomed the move, experts claim that this would boost the demand of 5.88 lakh unsold under-construction inventory across seven cities. “Metro cities will be the largest beneficiaries of the announcement. This will reduce the gap between buying under-construction flats and fully ready flats,” said Rohit Jain, partner, Economic Laws Practice. The move will take off the burden by at least 5-6 per cent from an average home buyer’s budget, analysts feel. “We estimate that the reduction in GST can potentially reduce the buyers’ payout by 6-7 per cent on the overall purchase, depending on the category. The increase in sales will bring down the unsold inventory that has been afflicting the real estate sector,” said Shishir Baijal, chairman and managing director, Knight Frank India. However, the GST Council has not extended the benefit of input tax credit, which may dent some of their profitability. “The elimination of input credit tax benefit may hit profitability for the supply side. However, the potential demand generation as a result of this move will far outweigh any negative aspects, leading to greater sales numbers and revenues,” Baijal added. In another major move, the government has expanded the scope of affordable housing.“The council also brought in a twin definition of affordable housing, on the basis of carpet area and cost,” said Finance Minister Arun Jaitley, who is also the head of the council. A residential apartment with a carpet area up to 90 sqm in non-metropolitan cities and 60 sqm in metros with cost up to Rs 45 lakh will fall under the affordable housing category, Jaitley said. Bengaluru, Chennai, Delhi NCR (limited to Delhi, Noida, Greater Noida, Ghaziabad, Gurgaon, Faridabad), Hyderabad, Kolkata and Mumbai (whole of MMR) will be considered metropolitan cities. “Extending the definition to housing priced within Rs 45 lakh is credible. It will make more properties from the premium budget fall into the affordable category, and thus benefit buyers in cities where property prices are exorbitant,” said Anuj Puri, chairman, ANAROCK Property Consultants.